Carbs are one of the most controversial of the nutrients. Though true that they provide you with the required energy for exercising, they can just as easily be turned into a fat. Hence, probably the most sought out secret in the world of bodybuilding is how to turn the carbs into a muscle mass. We’ve already said that carbs are crucial for high performance in the gym, but it’s also very important for performing other everyday activities. Yet, as the carbs have the nasty property to accumulate body-fat if not utilized properly, they can be damaging for your physique. One of the easy ways out is the Paleo diet. If you’ve already tried it, you know that it can melt that fat away. However, this diet comes with a catch. By curbing out the carbs, you also deny your body of the energy provided by them, and as a result you can feel tired, irritated and generally weak. But are the carbs an enemy to our physique, or are they helpful? The truth of the matter is that carbs are not always bad for us. In fact, if you allow your body to process them in correct way, they can be very beneficial. However, most of us cannot find the right approach in burning them away, and as a result they end up as stored fat. One of the best recipes for reducing the carbs intake in a healthy way is not to consume low quality carbs, and to especially avoid the simple sugars. By supplying your body with carbs derived from vegetables or fruits, your body will get the needed energy, and can turn them into a muscle mass. When you introduce carbs in your system, the body transforms them into glucose, which is then released into the bloodstream. As a result, your pancreas starts pumping out more insulin, which is responsible for the transport of glucose to the cells, where it is either stored as fat, or burned as a fuel. What you’d want is to make your body store these carbs as glycogen, but not all people are built the same. While some bodies are more efficient in doing this, often these carbs are stored as fat. Yet, you should not despair, as the modern science had revealed a number of discoveries in the world of nutrition, classifying the foods into types that give you better response of insulin to carbs. At the same time, there are many supplements that offer you natural formulas for improved muscle building. We provide you with 4 nutrients that have a fantastic ability to increase your body’s capacity for storing carbs. They will provide you with increased levels of energy, improving your results in the gym, while at the same time they won’t be stored as fat. Adding these nutrients to your overall healthy diet backed up with the correct supplements and good training protocol, can hasten the muscle building process. Corosolic Acid is also one of the more recent additions at the nutrition scene. It is extracted from the Banaba leafs. Although fairly unfamiliar at the modern western market, the Banaba leafs have been used for treating diabetes at the Far East for centuries. Yet, the Banaba Leafs have quickly won the hearts of the scientist with numerous studies revealing that they have the ability to greatly reduce the blood sugar levels after consuming carbs. This ability is due to reducing the speed of breaking down starch and sugar, and to the general improvement of your metabolism. Although the chances are that you’ve never heard of Fenugreek it can be found in many muscle building supplements. This relatively new addition to the muscle building scene has quickly gained on popularity. This annual plant can be found in Africa and Asia, and can be used as powder and for seasoning food. However, it can be also used raw, consuming the leafs. In China it has a long tradition of use for treating diabetes. According to the modern studies the blood sugar lowering effect of Fenugreek is a result of slowing down the processing of carbs. One of the studies has revealed that consuming 100 grams of fenugreek every day can greatly lower the levels of blood sugar in people suffering from diabetes. Fenugreek has the similar results with mild type 2 diabetes as well. Having in mind that fenugreek is fairly new in the supplement market, there are not as many products containing this potent ingredient. However, if you do find yourself in the group of people who have problem with storing carbs as fat, this ingredient is what you really need. Bitter melon is yet another blood sugar reducing food that comes from the far east. This fruit grown in Asia has a fantastic ability to improve insulin sensitivity. As such it can be found included in many dishes consumed at this continent. According to the recent studies, this fruit is not only efficient in reducing the sense of hunger, but it can also improve your glucose tolerance. As a result, you reduce the risk of getting type 2 diabetes. While the first three ingredients on our list were somewhat obscure and new, you’ve all probably heard about the next ingredient on our list. Cinnamon! 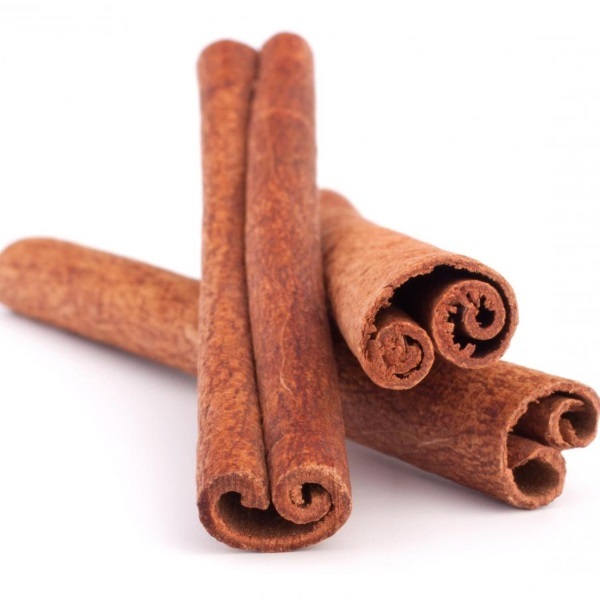 asd However, you might not know that cinnamon is extremely efficient in lowering the blood sugar levels, which has been proven with many recent studies. According to them, cinnamon is not only capable of alleviating some of the diabetes s symptoms, but it can also stop it in its tracks. This property of cinnamon is a result of its ability to mimic insulin when introduced in our body improving your cell’s sensitivity to this hormone. One of the studies has revealed that after a month of consuming cinnamon in their diet, 60 men and women have experienced a drop of fasting serum glucose level ranging between 18 and 29 percent. Having this in mind, cinnamon can be very efficient in turning carbs into muscles. You’ve probably noticed that three of the above mentioned ingredients are less known for the western civilization. Although used in Asia for a long time, they are just starting to conquer the supplement market. However, as the new studies emerge their gaining more and more on popularity, and are now included in many products. Just make sure that the supplements you choose to use contains all the natural ingredients. They can be a real boost in your muscle building efforts.